Elizabeth Banks has been tapped to star in and produce Queen for a Day for Paramount. The movie will recount the events that took place after a fan won a date with Prince in 1986. The movie is based on a story published by the Daily Beast titled When Prince Made a Chambermaid His Queen for a Day, written by Chris Lee. There is no word on who may wind up in the director's chair just yet. 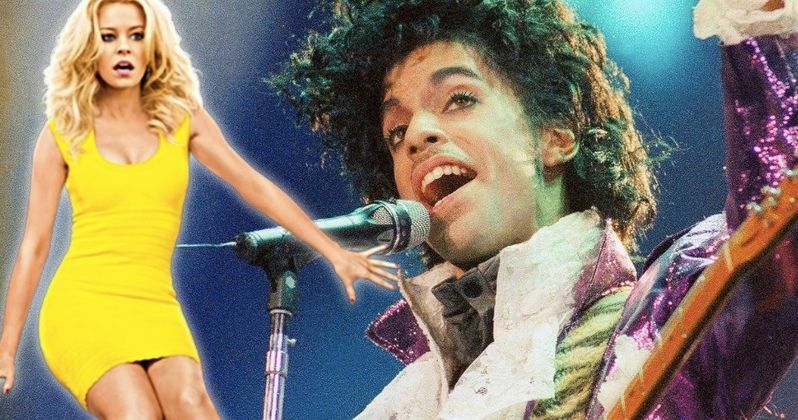 The story is based on the real-life happenings that came as the result of a contest Warner Bros. cooked up in order to promote Prince's movie Under the Cherry Moon, which served as his follow-up to Purple Rain. They decided to award one lucky fan a date with the legendary rock icon on MTV which, at the time, was in its relative infancy but was already immensely popular. The Win a Date With Prince contest awarded the 10,000th caller the date and that caller was a woman by the name of Lisa Barber, who was a hotel room cleaner in the small town of Sheridan, Wyoming. Interestingly enough, even though Prince will have a presence in Queen for a Day, no actor will be cast to play the late icon. His presence will be relegated to the background. Instead, the movie will focus on how this contest changed the lives of two women who came from very different walks of life. In addition to the shy, awkward Lisa Barber, the movie will also focus on the Manhattan PR executive responsible for the event's success. Successful as it was, the flick will showcase the herculean effort that went into organizing the event that brought Prince to a small cowboy town and established his date as a reluctant media sensation in some "coke-fueled chaos" behind-the-scenes, as it was described in the original article. Flora Greeson is rewriting the first draft of the screenplay, which was penned by Josh Stolberg. The gig was initially offered to Scott Neustadter and Michael Weber, who are on board the projects as executive producers. They previously scripted 500 Days of Summer, The Fault in Our Stars and The Disaster Artist, which scored them an Oscar nomination. They were, however, busy with Daisy Jones and The Six for Amazon, leading to Greeson getting the job, who was actually, at one point, the assistant to their agent, Bill Zotti. So this is something of a Cinderella story both in front of and behind the camera in that respect. Max Handelman Josh Stolberg, Alison Small and David Klawans are also producing the project. Queen For a Day doesn't currently have a release date, but with the script being rewritten, it's likely that the search for a director will begin. Elizabeth Banks has taken to directing more in recent years and she's currently set to helm the upcoming Charlie's Angels reboot. That commitment is probably going to prevent her from stepping into the director's chair for this one. This news comes to us courtesy of Deadline.